Criminal charges of drug manufacturing are among the most serious type of drug-related criminal charges. People commonly get arrested for operating methamphetamine labs or cultivation of marijuana — and then find themselves facing serious felony charges. In serious drug-related cases like manufacturing charges, it is a good idea to enlist the help of an experienced criminal defense lawyer as early as possible. Too many people make the mistake of waiting until right before their first hearing to hire a defense lawyer. Even the best criminal defense attorney needs time to investigate a client’s case and build a strong defense. The earlier your lawyer gets involved, the better the chances to help you avoid conviction. 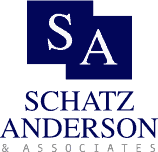 Located in Salt Lake City, Schatz, Anderson & Associates, LLC, handles felony and misdemeanor criminal defense matters throughout the state of Utah, including the communities of Provo and Ogden. Our attorneys—with more than 40 years’ combined legal practice—have extensive experience arguing on behalf of clients facing serious charges of drug manufacturing or cultivation. Many drug-related cases are won on the basis of pre-trial motions to suppress the evidence due to Constitutional violations. A successful motion to suppress argues that the police obtained the evidence of manufacture or cultivation using methods that violated the defendant’s Fourth Amendment rights under the U.S. Constitution. If the prosecuting attorney is disallowed from using certain evidence of manufacture or cultivation, the case may disintegrate, and our client may achieve a dismissal — or a reduction of charges at the very least. Our firm maintains an extensive file containing briefs in support of motions to suppress for many different scenarios and fact patterns, and we are constantly looking to expand the arguments for new and different types of circumstances. Jason and his team were able to take what seemed like an impossible case and reduce it to a much lesser charge. Gracias! — P. P.